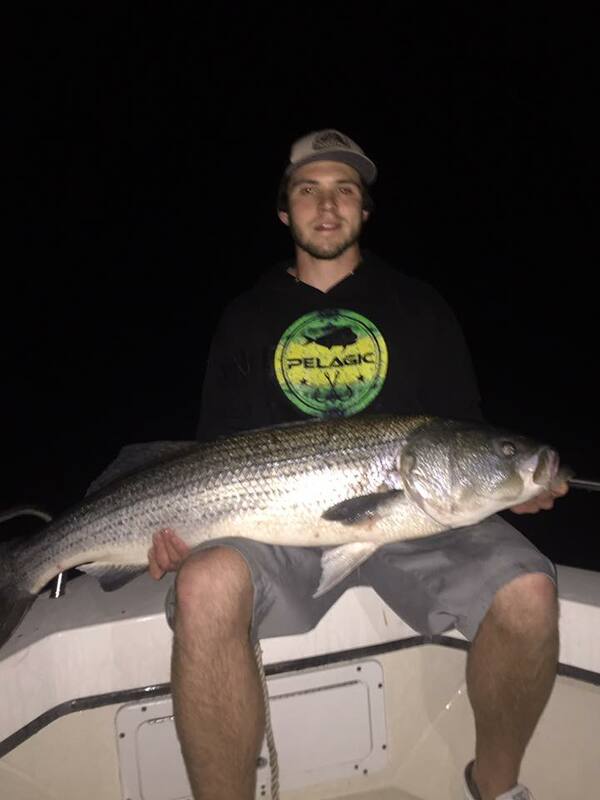 In Virginia May is one of the best times of the year for a Red Drum charter. 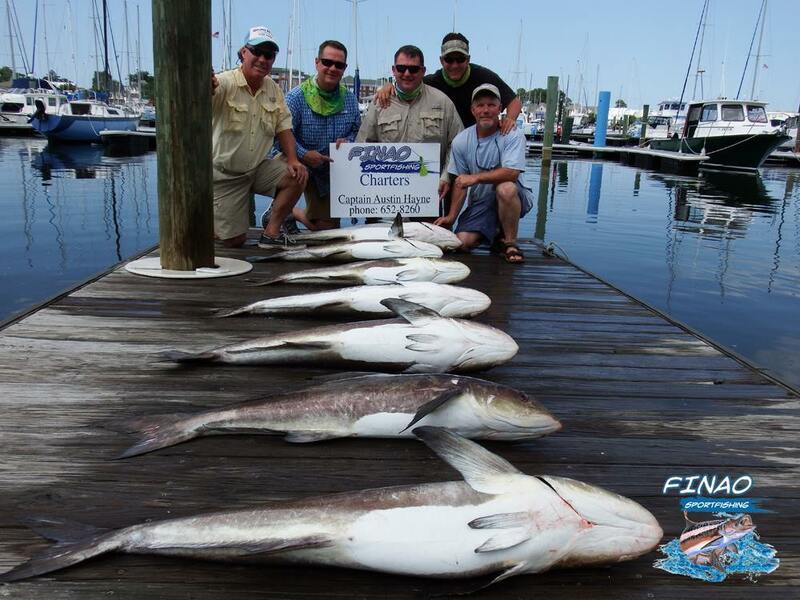 With May being right around the corner it is the perfect time to book your trip with Finao Sportfishing. 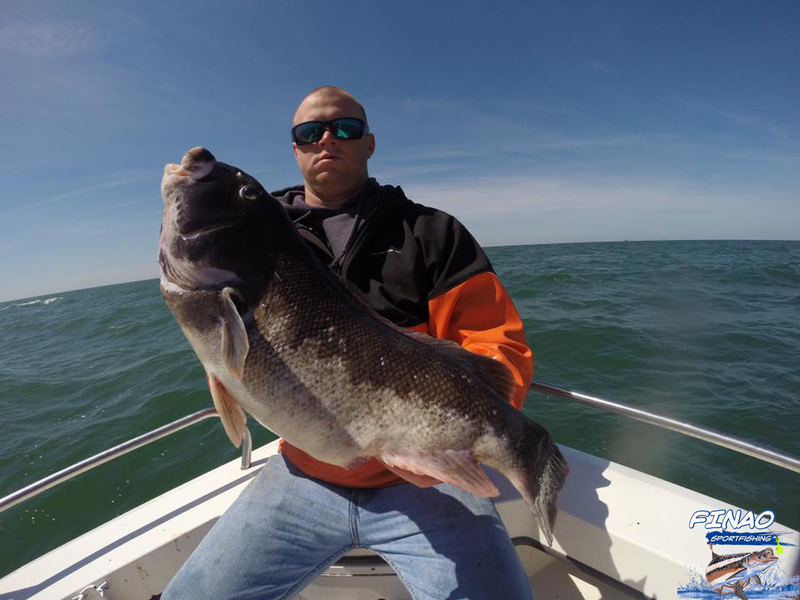 Red Drum move into the Chesapeake Bay when the water temperature rises to about 60 degrees. 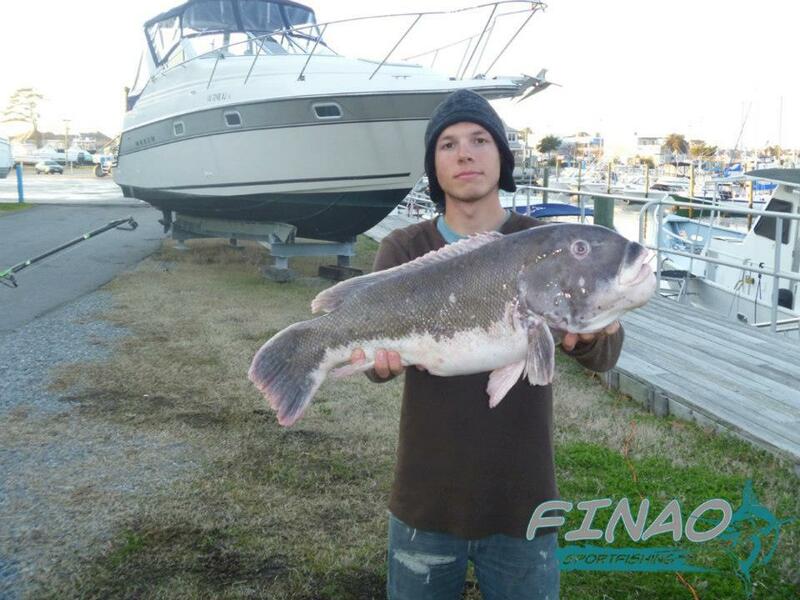 Our Marina is located along the shore of the Chesapeake Bay which is close to the best fishing grounds for Red Drum. 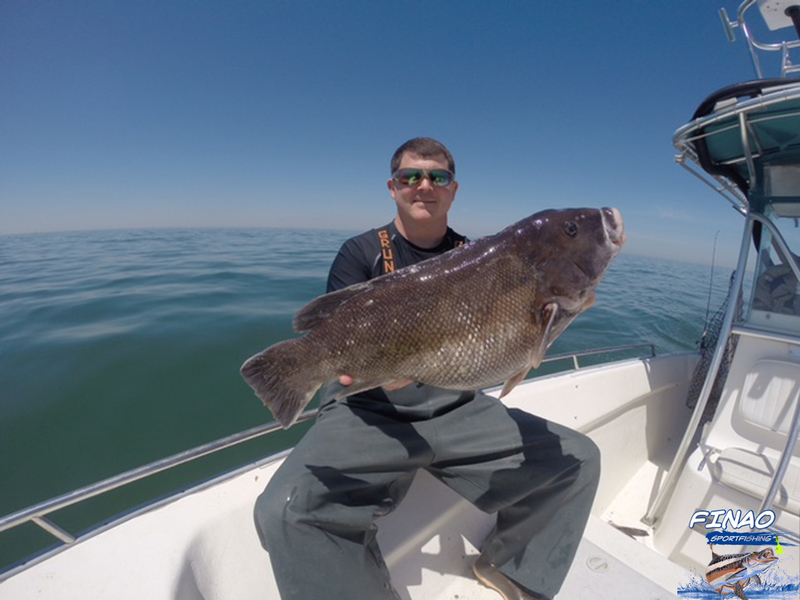 Click here to book your Red Drum charter today! 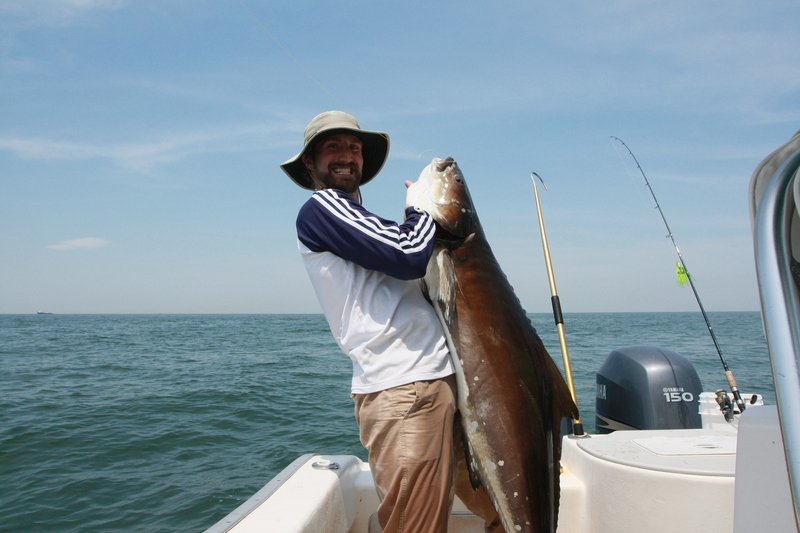 On our Red Drum charter the average sizes of the Drum we catch are about 45 inches. Red Drum vary in sizes from 15 inches and can grow to over 55 inches! The large Red Drum they travel in big schools. It is not uncommon to hook multiple Red Drum at the same time. It is important that we have the correct fishing gear when on our Red Drum charter. Red Drum are powerful fish and grow to massive sizes so the correct gear is needed. They are known for taking long strong runs that do not stop. 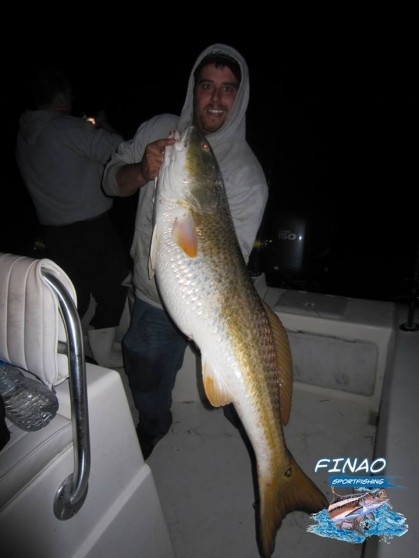 The gear use on Finao Sportfishings Red Drum charter is top of the line. 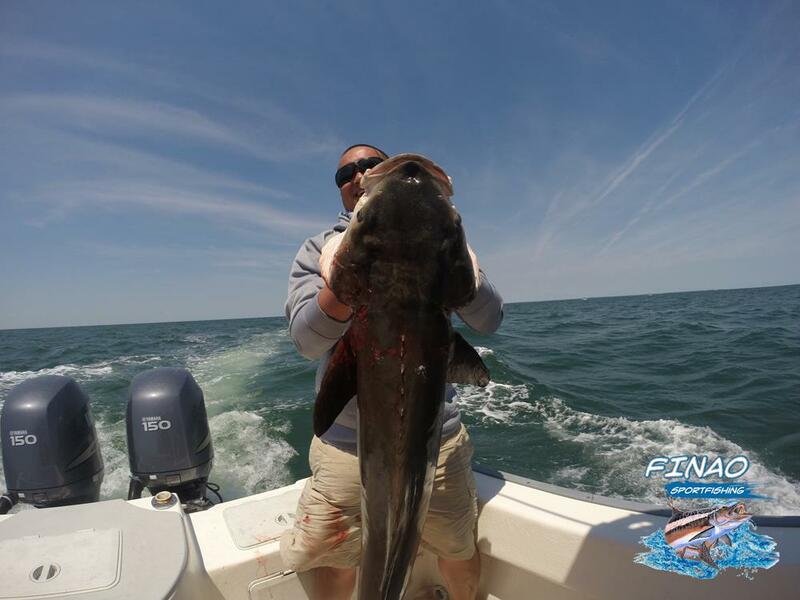 We use Avet reels, Shimano Rods, Owner Hooks, Power Pro Braided Line, and Ande Mono-filament. When on a Red Drum charter with Finao Sportfishing our most common technique used is bottom fishing. Most Red Drum travel in large schools along the bottom eating Blue Crabs, Clams and Small fish. Bottom fishing for Red Drum is a great fishing style. We set out 4 rods on the bottom with Blue Crab on them. When fishing for Red Drum on the bottom when you hook one Red Drum try to keep the other rods in the water to hook multiple fish at the same time. All of our Red Drum charters are at Sunset and Night. Drum are a predator fish. They move around and feed more aggressively at night time. 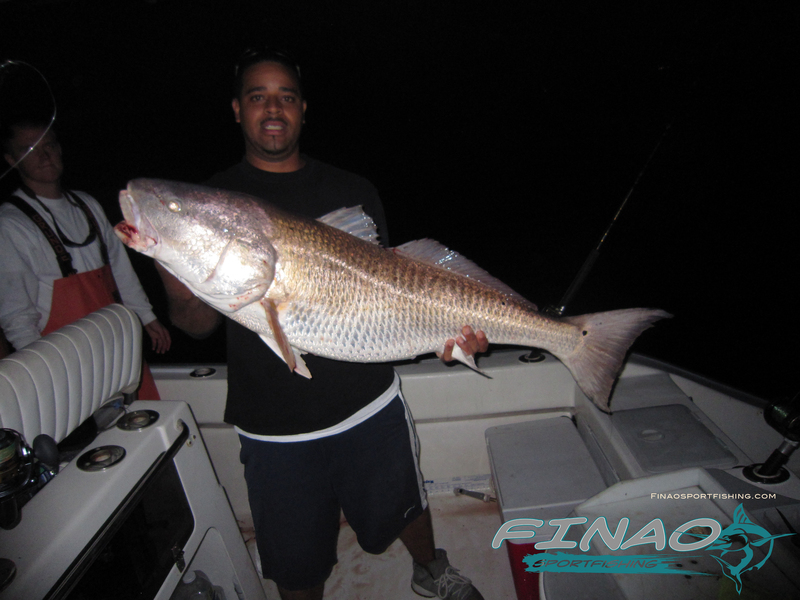 Be sure not to miss out on this seasons Red Drum fishing! 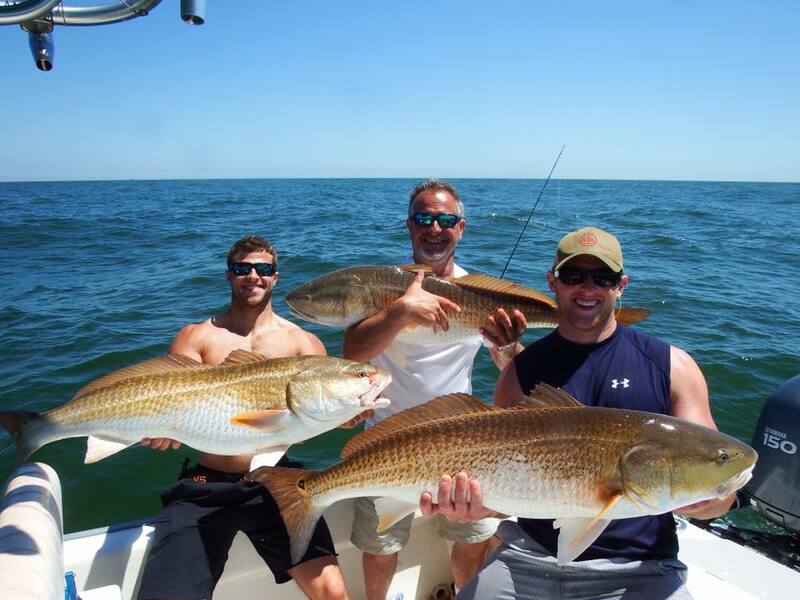 Book your Red Drum charter today!